Very interesting article here on Splinter, a site that former Gawker (RIP) readers will recognise - though it is definitely not the new Gawker. Mic is a fairly decent site and has produced some very good journalism. Its focus on campaigning and bringing some niche voices on social issues is great. This article recognises that, but sadly takes a more depressing turn. The part of Mic under the microscope here in Splinter is the "pivot to video". Specifically, the loss of many millions of users in this pivot. 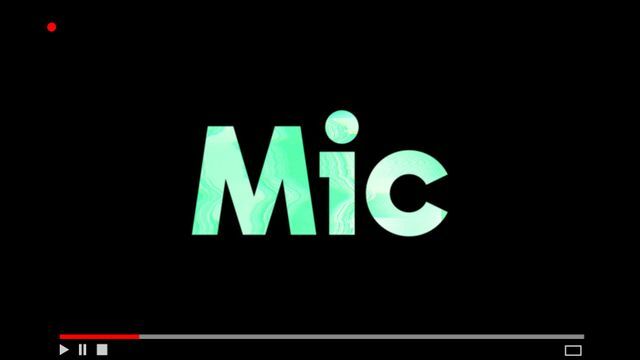 Mic's being used, maybe unfairly, as a bit of a whipping boy for the state of media today. They're by no means the only publisher losing audience in a pivot to video, which, through reading some very fine reporting and analyses on the matter, is confirmed as corporate jargon of the worst kind. A "pivot to video" doesn't actually mean transferring the publisher's resources and focus to video. It generally means mass layoffs, a shift to chase ad-revenues over quality journalism (I hate describing journalism as "content"), dependence on a distribution platform, and excuses why the outlet has terrible reader figures. Visual journalism is exciting - telling stories in new ways is a root element of cultural and social progression. Exploration is great, and money allows that. However, when the balance of revenue/story shifts in weighting - we end up with a overly-commoditised media landscape. A changeling industry where publishers jostle for eyeballs (or whatever registers as an eyeball on the ad network) and leaves the minds behind. In December 2015, Mic had 21 million unique visitors. Leaders - Give us a reason to follow. Media Manipulation - Is it all in your mind?